Must present valid Seniors Card on arrival. Includes 2 drinks, 1 water and access to private toilets and a range of seating. Purchase food and beverages at your leisure from its exclusive, fully licensed bar and pop up food stalls. The night will have you sipping champagne, enjoying the sit-down multi-course dinner, paired with fine wines, dancing on the exclusive dance floor with the Ord River providing the beautiful back drop. Returning for its nineteenth year on Saturday 25th of May 2019. 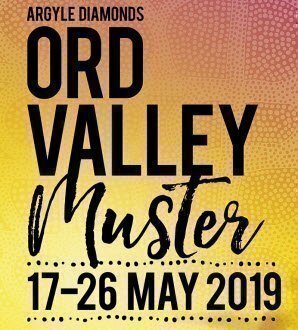 Staged on the banks of the Ord River at the Jim Hughes Amphitheatre, the pinnacle event of the Argyle Diamonds Ord Valley Muster is the AVIAIR HELISPIRIT KIMBERLEY MOON EXPERIENCE. For the first time, this year we’re providing you with 3 different options on how you’d like to enjoy your Aviair Helispirit Kimberley Moon Experience. AVIAIR HELISPIRT KIMBERLEY MOON EXPERIENCE, KIMBERLEY FINE DIAMONDS DINNER & THE NEW VINTAGE GARDEN. Experience the brand new “Vintage Garden”. Exclusive bar and pop up food stalls, letting you enjoy a night of world class entertainment under the stars, with all amenities at your fingertips, the Vintage Garden ticket lets you purchase food and beverages at your leisure from its exclusive, fully licensed bar and pop up food stalls. The Vintage Garden also includes private toilets and a range of seating, all you need is yourself and someone to share the night with. This is an 18+ area with limited tickets available and looks to be one of the hottest tickets for this years Aviair Helispirit Kimberly Moon Experience. Alternatively, spoil yourself in true outback style at the black-tie “Kimberley Fine Diamonds Dinner” - a premium entertainment package in one of the world's most unique and unforgettable settings. Tickets are rarer than pink diamonds so get yours while you can. Imagine dining and dancing the night away under a star lit sky. The Kimberley Fine Diamonds Dinner gives you the opportunity to do this. Dress to impress as this black-tie event is the Kimberley’s most prestigious and lavish annual event. Like a Kimberley Fine Diamond, this sensory experience allows you to indulge in all the beauty that Kununurra has to offer. Be you a local or guest, the night will have you sipping champagne, enjoying the sit-down multi-course dinner, paired with fine wines, dancing on the exclusive dance floor with the Ord River providing the beautiful back drop.